Famed investigative journalist Eric Schlosser digs deep to uncover secrets about the management of America's nuclear arsenal. 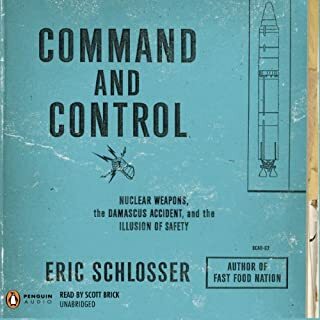 A groundbreaking account of accidents, near misses, extraordinary heroism, and technological breakthroughs, Command and Control explores the dilemma that has existed since the dawn of the nuclear age: How do you deploy weapons of mass destruction without being destroyed by them? That question has never been resolved - and Schlosser reveals how the combination of human fallibility and technological complexity still poses a grave risk to mankind.